Designer Ross Lovegrove. 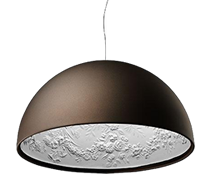 Lamp available in the suspension and ceiling versions. 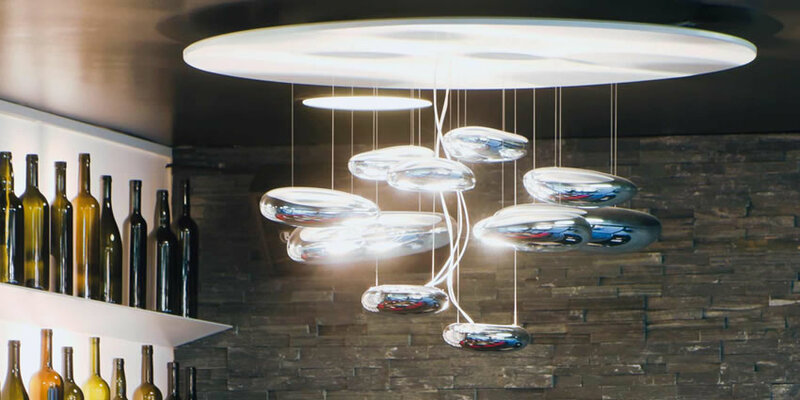 "A ceiling fixture that places a floating assembly of large pebbles below a simple modern aluminium disc. These in turn reflect each other bouncing light between their taught bio - morphic surfaces and reflecting the environment around them. During the day the piece acts as a sculptural object reflecting the dynamics of natural light and the movement of people around them. Die-cast aluminium lighting units; reflective units made of injection-moulded thermoplastic material with metallic finish; die-cast aluminium reflector. Designer Piero Lissoni. 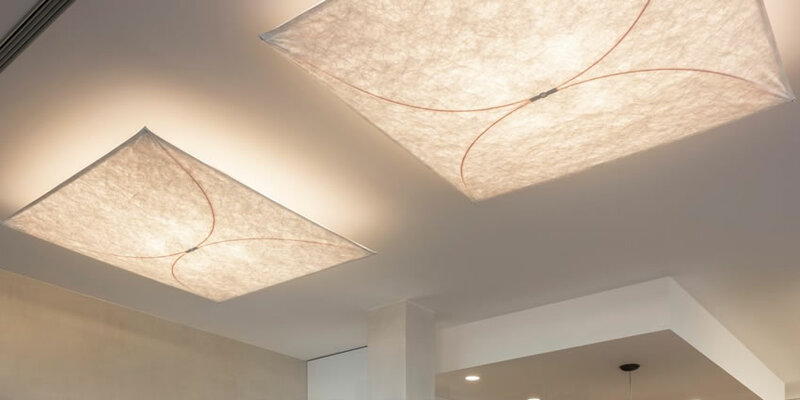 Luminaire for ceiling or wall installation with diffused light. The front diffuser is in opal polycarbonate with high injection-molded diffusion efficiency. 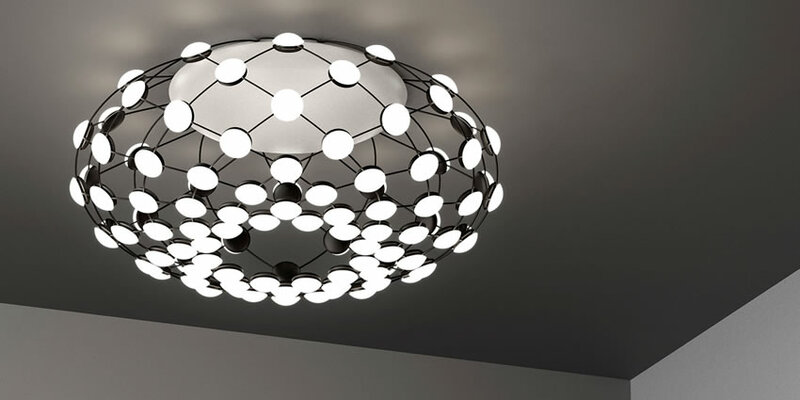 An optional accessory of circular shape. Designer Giuseppe Maurizio Scutellà. Materials: Painted aluminium. 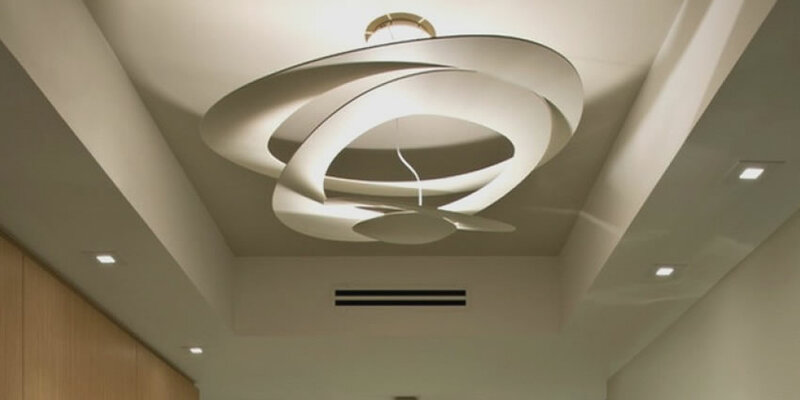 Speciﬁcation: Opening out of a slim disk are ﬂuttering spirals, which fall gently downwards, creating magical effects of form and light. 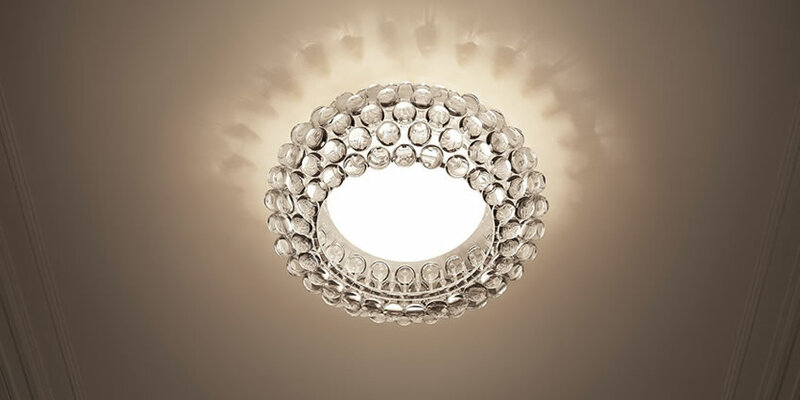 Like a bracelet of sparkling transparent pearls, the Caboche ceiling lamp embellishes any room with its extraordinary lighting effect, where each sphere reflects the image of the light source inside the central diffuser, creating games of light onto the ceiling. 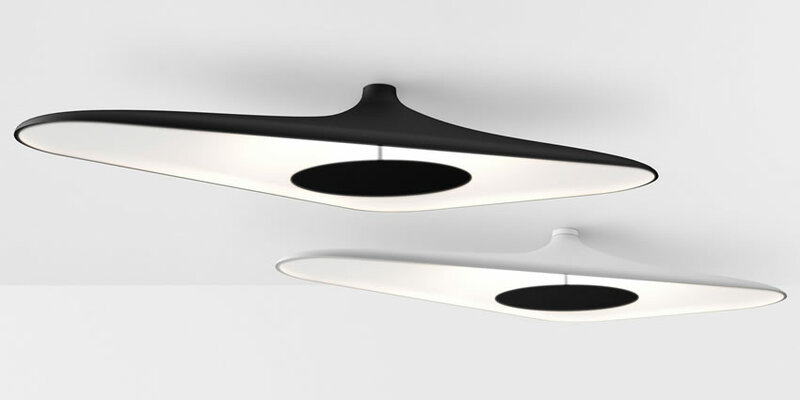 Soleil Noir comes with an avant-garde optical system to guarantee the uniform spread of light on the diffuser. 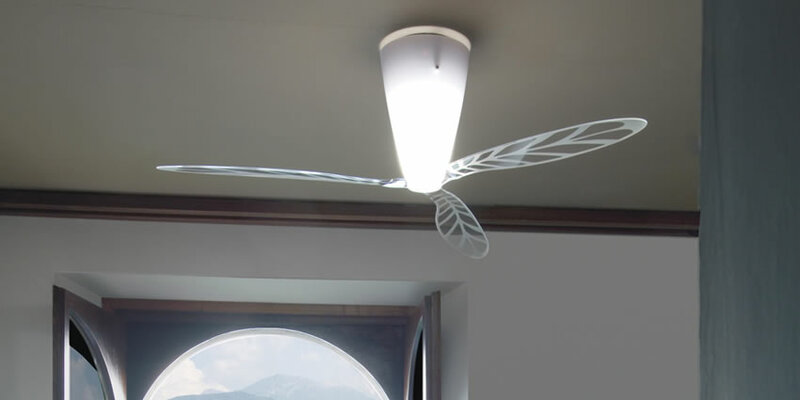 Wall or ceiling-mounted lamp providing diffused light. Synthetic fabric diffuser. 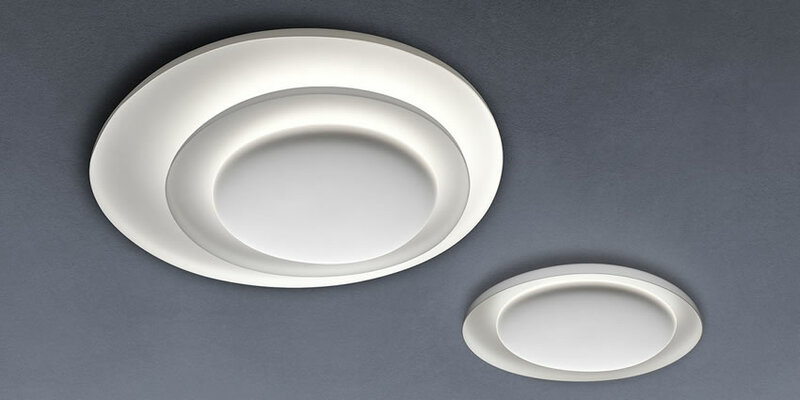 30% fiberglass reinforced polyamide ceiling/wall fitting. Designer Francisco Gomez Paz. 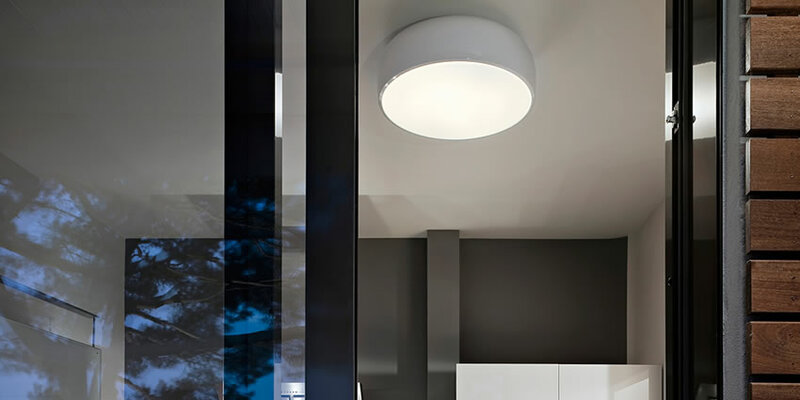 A lamp with a strong visual impact, the light, almost transparent structure, composed of a network of flexible cables at the intersection of which the LED sources are positioned, hides the complexities of the project and, dematerializing, leaves space only to the light, unique and true protagonist. 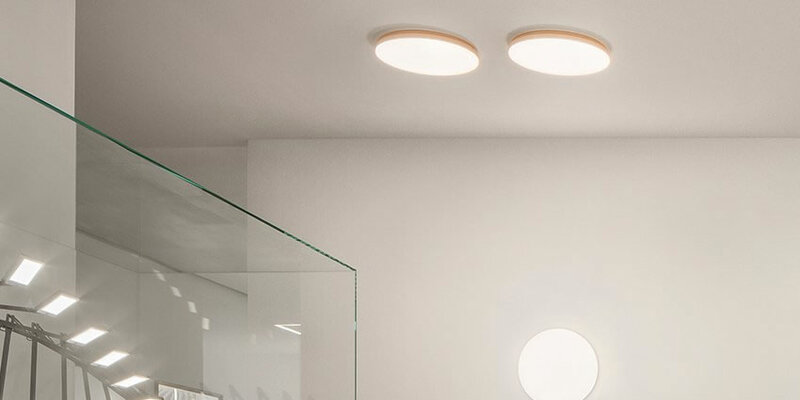 Asymmetrical composition of shapes, Bahia is a large ceiling lamp that decorates and illuminates with its scenographic simplicity and its magical play of shadows and glows. 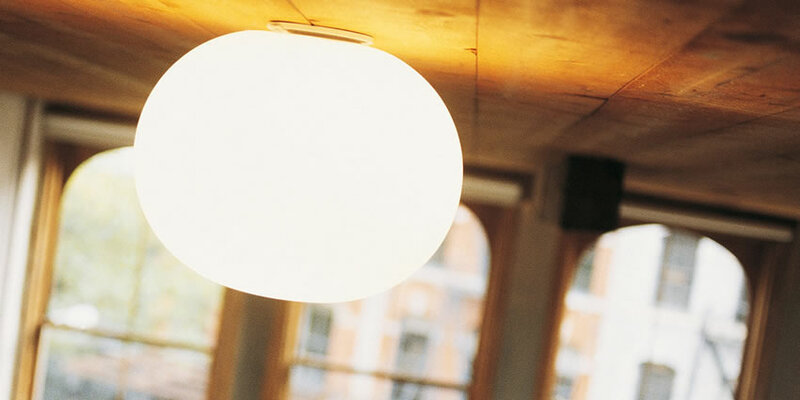 Compact and strikingly simple, the Bahia Mini ceiling lamp retains the seductive personality of the larger version. This lamp decorates and lights with its elemental scenic effect and a magical game of shadows and glows.